Make sure your recruitment technology is ready for 2016! Ramp up for your future talent acquisition goals by making sure you have all of the right tools in place. iCIMS has compiled a list of the top recruitment and technology tips to help you find candidates. 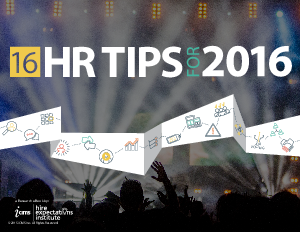 Use these 16 HR tips to address hiring and talent acquisition challenges in 2016 and beyond through four categories critical for success: people, technology, process, and insight. See how these tips will take your recruitment strategy to the next level.